As we made a right hand turn onto MA-122 the anticipation began to build. This increase of enthusiasm also caused a body part to become overly active, namely the right foot, as the car made its way down the gradual, long-sweeping turns of MA-122. Any car enthusiast would obviously get excited to see a great gathering of fine automobiles. However, this was no museum, it was a private car collection, the first one we had the opportunity to experience. At 2 p.m. we rolled up the perfectly paved driveway and looked for a place to park, expecting to see a large number of garage stalls attached to, or beside the house. But it was surprising to see there was only two stalls in sight. All of a sudden thoughts began to flood the brain. Is this the right house? Did we make a wrong turn? Thankfully all apprehension was quickly replaced by the excitement that had been there minutes before when we caught a glimpse of what we had come here for. Most people would have noticed the large wooden barn before picking out something smaller. But no, instead of admiring the barn our eyes were transfixed on the black E28 M5 race car that lay parked to the right side of the large barn door. After meeting the owner we began to make our way toward the “Auto Bahn”. As the side entrance opened the anticipation level reached its climax. As the door swung open the refreshing aroma of freshly cut pine filled the air and six objects came into view, all of which were accompanied by a neat, snug-fitting car cover that sat atop each vehicle. As the owner removed each protective cover from the vehicle the true scope of his collection was finally displayed. Within this unassuming barn sat some of the finest and most iconic cars ever produced by BMW. There were two E30 M3‘s, one Diamond Black, the other Cinnabar Red. The red example was an ’89 with just a hair over 54,000 original miles on the clock. The bright red exterior paint was complimented by Natur (light beige) bison leather interior which was original and largely unchanged from the day it left the Munich-Milbertshofe factory. 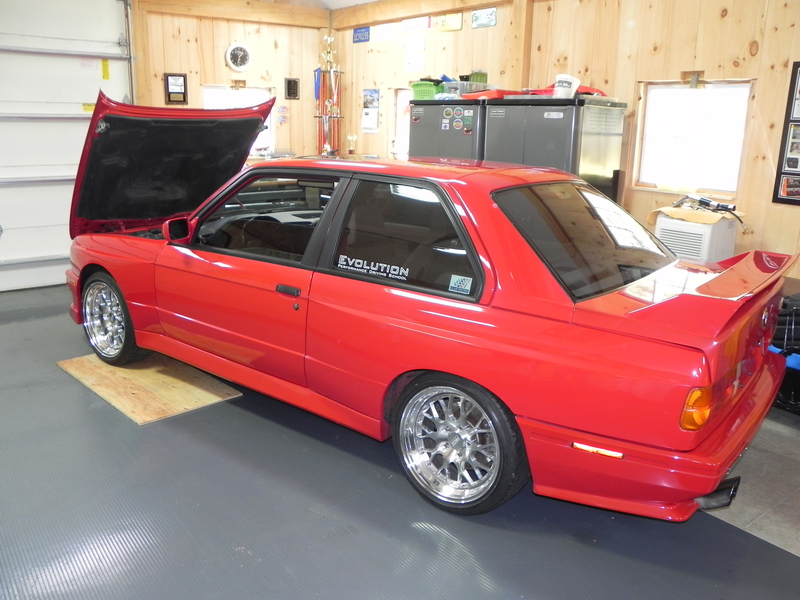 His second M3, a 1991 example has roughly 90,000 miles. However, unlike the ’89, this M3 is as far from factory stock as a E30 M3 could possibly be. All aspects, from the 2.5-liter engine which produces 275 horsepower, to the Sport Evolution interior have been professionally upgraded and improved. After viewing his one-of-a-kind 1972 BMW 2002 M2 conversion and his pristine example of an E28 M5, we moved onto what might be considered by many to be the crowd jewel of the collection, a 1985 Alpina B7 Turbo. 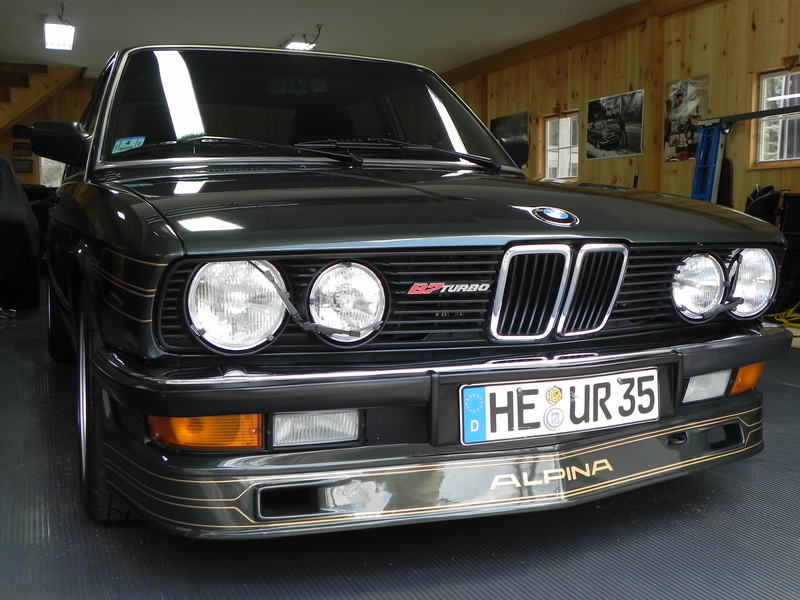 Not only is this particular Alpina in wonderful condition, it’s also incredibly rare. Only 236 units of the B7 Turbo were produced between 1984 and 1987, and this particular example is one of four in North America. And if being one of four just isn’t good enough, it’s also the only example to ever be imported new to the United States. The Alpina B7 Turbo is powered by a BMW 3.5-liter turbocharged in-line six-cylinder engine, producing between 300 and 300 horsepower and 331 lb-ft. This significant amount of horsepower and torque is the result of engine modifications Alpina performed on all E28 B7 Turbos. These include lightweight Mahle pistons, modified cylinder head, 264 degree camshaft, tuned exhaust manifold and headers and a KKK K27 turbocharger. After viewing all the vehicles, and chatting with the owner for a bit it was time to leave. We’ve seen plenty of beautiful automobiles, most of which have been at car shows, special exhibits and museums. However, these exhibitions often prohibit the general public from sitting in, or getting too close to the vehicles. Being able to see a car collection up close and personal is something that should be experienced by all serious and appreciating car enthusiasts. So, if you happen to know or run into someone who has a car collection ask them if they would be willing to show it. If they agree you can rest-assured you won’t regret it. More photos can be seen at Germanautonews’ Flickr page. More videos of these vehicles and more can be seen at our YouTube channel.